When you hear “Tournament Time” one sport obviously comes to mind and that is college basketball. More specifically you think of the month of March and the excitement that it brings as teams fight for a chance at the Final Four and a national championship; and It’s widely considered the best time for college basketball. What if I told you that March isn’t the best month for basketball, what if I were to say the best time could be narrowed down to a week. A week shares the spotlight with the one holiday where everyone throws dietary caution to the wind. That’s right, I’m talking about Thanksgiving, and I’m talking about all the tournaments that will overload our screens as college basketball takes a moment to officially let everyone know it has begun. Now I am not saying that there is more at stake or more emotion in these holiday tournaments because there isn’t. The Tournament in March is in another stratosphere in that regard. The point being made is that from a shear quantitative standpoint there is more basketball and you can see your team play more guaranteed games in these weeks of November than in the National Tournament. This tournament will feature the Florida Gators, Wisconsin Badgers, Butler Bulldogs, Virginia, the Sooners, Stanford, the Dayton Flyers and Middle Tennessee. If you’re watching this tournament you’ve pretty much decided you want 80’s action…you want Die Hard. Lets meet the cast. Virginia/John McClane: The tough guy who doesn’t mind a fight, and while he usually wins, its never pretty. Oklahoma/Hans Gruber: The one with the plan to walk out of the building with a bag of money in hand and a heap of bodies behind them. He’s on a mission and has something to prove. Butler/Karl: Just angry at the world since they lost their brother (Brad) they are on a warpath to have their vengeance, it will end in their demise. Florida/Mr. Takagi: They have some clout but to those out east of their hometown that doesn’t mean much these days. Also we have questions about the fact that you have something a bad guy would want stashed away in a vault instead of a proper bank. Stanford/Harry Ellis: He’s that one guy in the office that everyone rolls their eyes at when they walk by. He’s pretty confident he is the smartest man in the room but what he lacks in book smarts he also lacks in street smarts. Middle Tenn/Special Agent Johnson: You probably don’t even remember these guys were in this movie. Need I say more? Dayton/Special Agent Johnson: Seriously, do I? Its a smaller tournament but it makes up for that with the teams it’s got headlining. 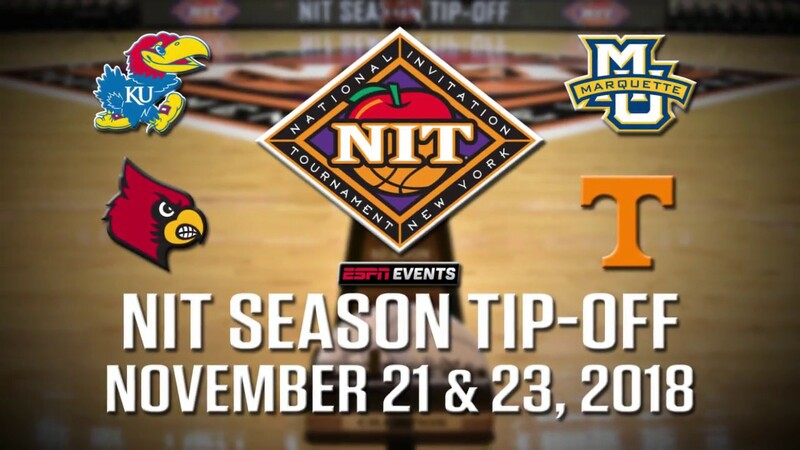 This tournament has Kansas, Louisville, Marquette and Tennessee all lined up to go head to head. If you are a suspense/crime thriller type of person then this is the one for you and that is because you’ll be watching The Usual Suspects. Louisville/Kobayashi: They have a suit on but they are giving off signals that there might be a secret word that has them revert back to some cut throat lifestyle they are trying to leave behind. Marquette/Fred Fenster: Their only purpose is to be killed to demonstrate Söze’s power, this character has no meaningful impact on the story. Tennessee/Dean Keaton: He has a checkered past, a history of living on the wrong side of the law, but they are a changed person (sort of) and they are the real threat to Mr. Söze. Kansas/Verbal Kint: The unassuming crippled that everyone for some reason decided to look past…we all know how that ended. this tournament is nothing short of loaded with talent with Arizona, Auburn, Duke, Gonzaga, Illinois, Iowa State, San Diego State and Xavier. This tournament will be an instant classic for the season, an instant classic just like Adam McKay’s Step Brothers. That’s right the Maui Invitational is Step Brothers on the parquet floor. Auburn/Brennan: There has been some overshadowing by some of the kids in his neighborhood but he’s looking for a chance to show that being old has its advantages. You can just manhandle the little kids across the street who won’t be there next year anyway. Gonzaga/Dale: He’s at the point in his life where we are starting to wonder if they are ever going to actually do anything or will they just make a fuss for the first few months then sit at home and watch Cops all day after the first sign of trouble. Duke/Derek Huff: The youngest and most successful of the siblings, they have no problem name dropping and bringing up the size of the Bonito they caught on their yacht. They know you wanna punch them and they’re cocky enough they’ll dare you to do it. Arizona/Alice: She hates her life, but is OBSESSED with Dale. Nobody ever seems to pay any attention to her and it does its toll on her self esteem. Maybe it’s because of where she’s at or maybe it’s because when she’s given the mic she’s flat and throws off the quartet. Either way there is a lot of constant confusion and crying. Xavier/Randy: Dude’s crazy, simple as that, we’ve seen him do things to the competition that would make even the most cut throat of businessmen blush (can’t try a man in international waters). Illinois/Robert Doback: There was a time when they headed a house of learned doctors but here lately all they can muster up is lofty goals that are as outlandish as their dream to be a T-rex. It shows on their face, by this time of the year they are ready to remind you it could be worse…you could be them. Iowa State/Chris Gardocki: This kid’s got nothing to lose, he’s just out here to crack some skulls, start a playground riot and possibly make you eat some white dog poop. San Diego State/Pam: Still to this day Dale and Brennan don’t know how to say her name. Pam’s not getting much respect if you ask me, but she takes it like a champ. No matter which tournament you decide to spend your time with you can’t go wrong. There is plenty of good basketball to go around and now you know exactly what to expect from the teams going into the holiday. You know what movies you like and now you know where to start when things tip off next week.